Cecilia Lindhé is working on a site specific digital installation of medieval materiality that aims to orchestrate the Swedish medieval church as a multimodal and performative space that encourages multi-sensuous involvement. 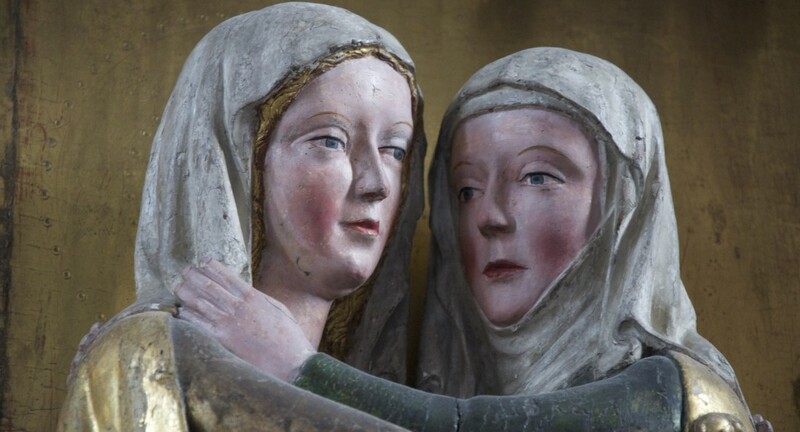 Focusing mainly on medieval Madonna sculptures (however, the installation will also explore text, and visual objects such as baptismal fonts and lime stone paintings), this installation explores the realm of the senses and medieval materiality as performative objects. Here, movement, touch, smell, taste and sound are considered important parts of seeing and relating to these objects. The conceptual and theoretical frameworks of the installation are based on ancient and medieval rhetoric, especially the concepts memoria, ductus and ekphrasis/enargeia. In addition to the installation, we are also working on a digital archive of medieval images – an archive that you will be able to explore by moving around in a space together with the images. This work is conducted in HUMlab together with Jim Robertsson and Mattis Lindmark. More to come later in 2014!